By the late 1960s the legendary violinist Yehudi Menuhin was conducting regularly, and by the 1980s he had led most of the world’s great orchestras and had recorded with many of them. In the early 1990s he retired from playing the violin in public and concentrated on conducting. While Menuhin mostly focused on standard repertory, he could surprise listeners with his adventurousness. 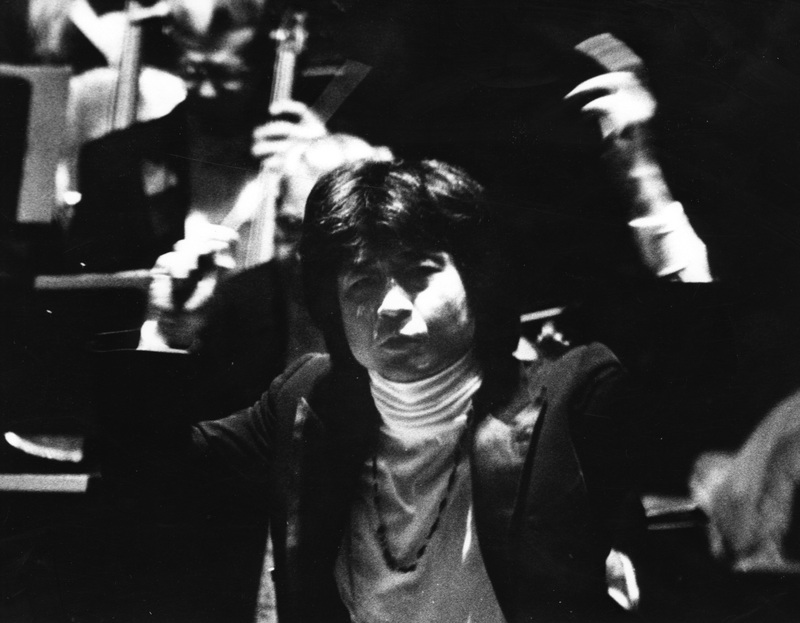 For example, as part of his 80th-birthday celebration at the 1996 Lincoln Center Festival he conducted the Orchestra of St. Luke’s in a program of 14 new works composed in his honor. 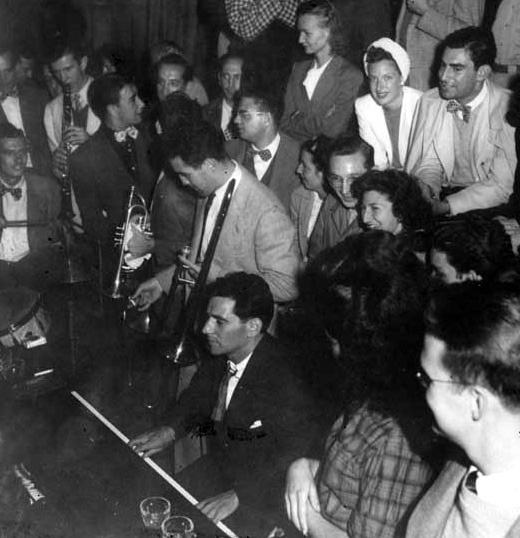 The composers were a strikingly diverse group that included Lukas Foss, Karel Husa, Philip Glass, Steve Reich, Somei Satoh, David Del Tredici, Giya Kancheli, and John Tavener. 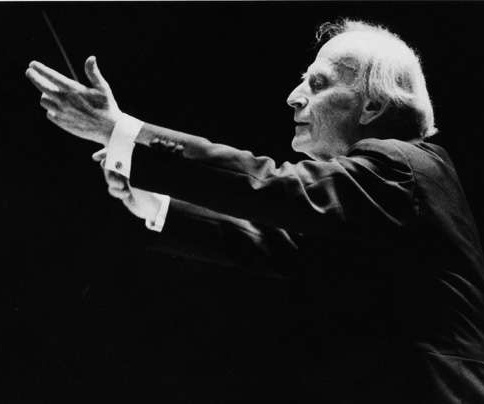 This according to “Sir Yehudi Menuhin, violinist, conductor, and supporter of charities, is dead at 82” by Allan Kozinn (The New York times CXLVIII/51,460 [13 March 1999] pp. A:1, 12). Today would have been Menuhin’s 100th birthday! Below, conducting part of Elgar’s cello concerto. 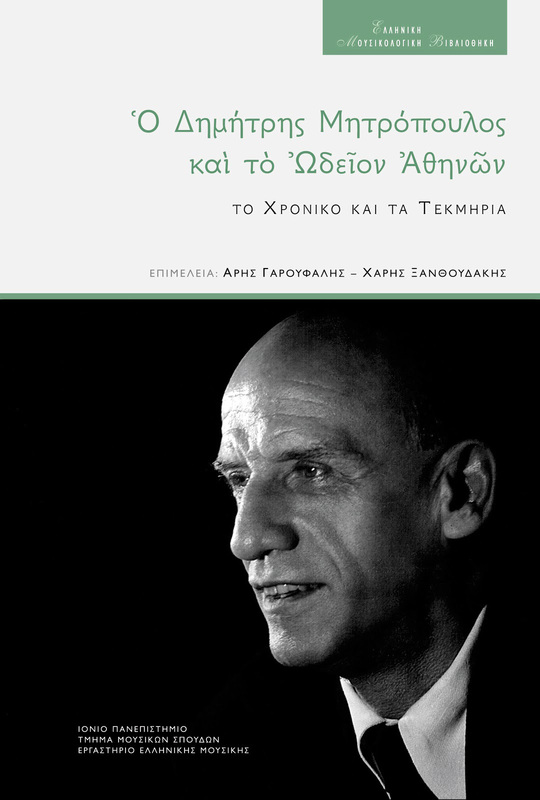 Valuable conclusions can be reached on the aesthetic and moral perceptions of Dimitri Mitropoulos from the study of his commercial and private recordings and his concert programs. 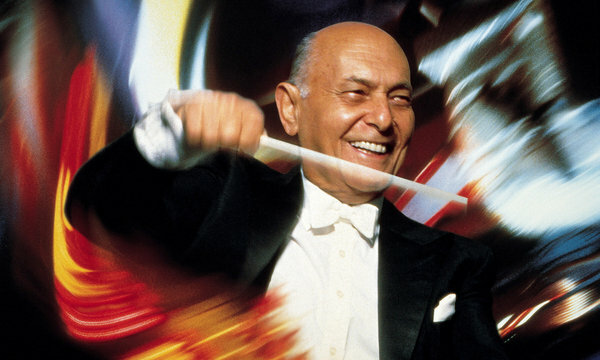 Mitropoulos was a unique interpreter who combined respect for significant works of historical Western music with the fight to project characteristic examples of the musical language of the 20th century. Far from the dictates of popular and easy recognitions, he gave us his own, often idiosyncratic, point of view of a morally honest and aesthetically valuable interpretation. This according to “Ο Δ. Μητρόπουλος και το ήθος της ερμηνείας” [Dimitri Mitropoulos and the ethos of performance] by Stathīs A. Arfanīs and Giōrgos Maniatīs, an essay included in Δημήτρης Μητρόπουλος (1896-1960): πενήντα χρόνια μετά [Dimitris Mitropoulos (1896–1960): Fifty years later] (Athīna: Orpheus Edition, 2012). 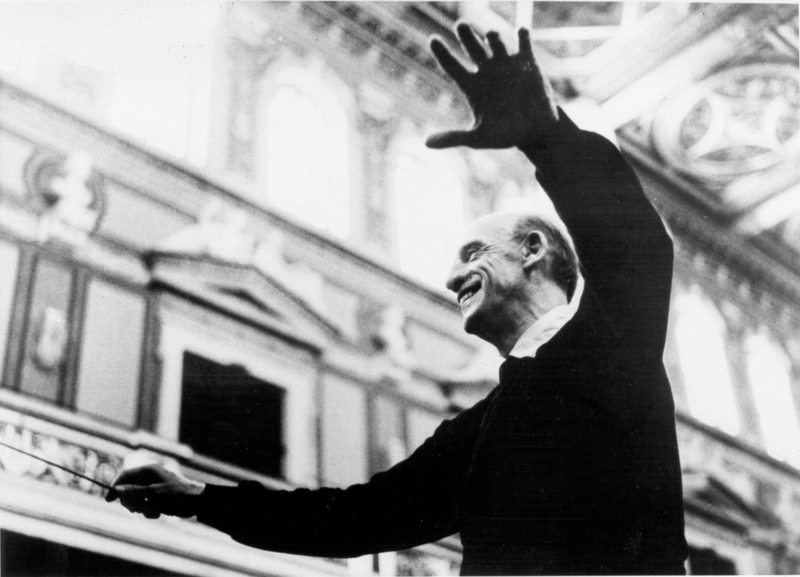 Today is Mitropoulos’s 120th birthday! 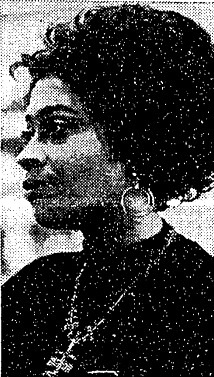 Below, rehearsing and performing with the New York Philharmonic. In December 2011 the Laboratory of Greek Music at the Ionian University, Kerkyra (Corfu), launched the book series Ellinīkī Mousikologikī Vivliothīkī (Ελληνική Μουσικολογική Βιβλιοθήκη/Library of Greek Musicology) with a volume curated by Charīs Xanthoudakīs and Arīs Garoufalīs on the relationship between the great Greek conductor and composer Dīmītrīs Mītropoulos and the Athens conservatory Odeio Athinōn. Mītropoulos studied at the Odeio Athinōn from 1910 to 1919. Returning from a period of study in Berlin in 1925, he served as conductor first of the orchestra of the other Athens conservatory, Ellīniko Odeio, then from 1927 to 1937 for his alma mater, where he also taught composition. He also created a combined orchestra from the two schools in a Syllogo Synafliōn (Club Concert) that achieved considerable glory in its brief existence, featuring guest appearances by Richard Strauss and Alfred Cortot and a 1933 performance of the “constructivist” Zavod (Iron Foundry) by Aleksandr Mosolov. The book, O Dīmītrīs Mītropoulos kai to Odeio Athinōn: To chroniko kai ta tekmīria (Dīmītrīs Mītropoulos and the Odeio Athinōn: Chronicle and archival materials, ISBN 978-960-86801-8-0), consists of two parts: a biography of Mītropoulos, and a collection of 85 reproduced documents from the Odeio’s archives illustrating the narrative of the first part, including meeting minutes, personal correspondence, and texts of speeches, together with excerpts from the most recent scholarly studies of Mītropoulos’s life and works before his emigration to the United States and international fame. 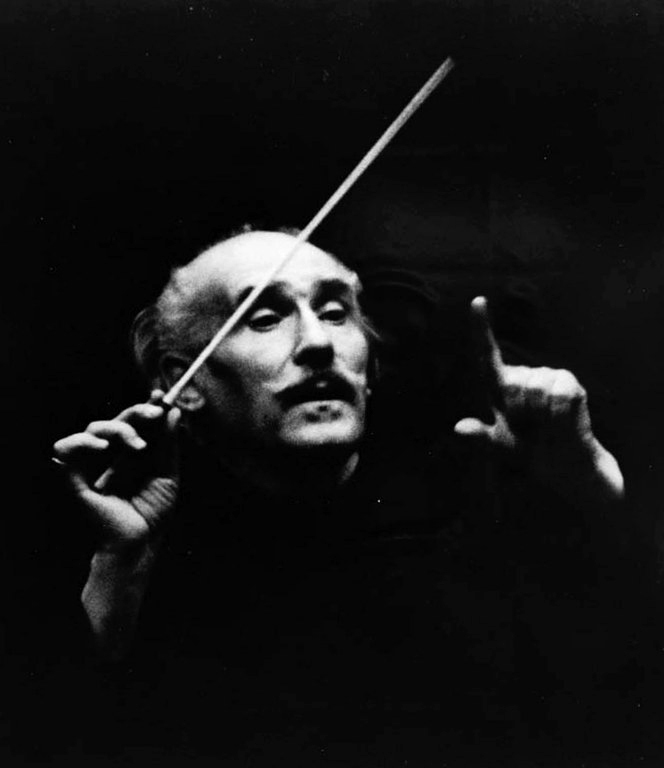 Below, Mītropoulos rehearses and performs Liszt’s Faust symphony with the New York Philharmonic.